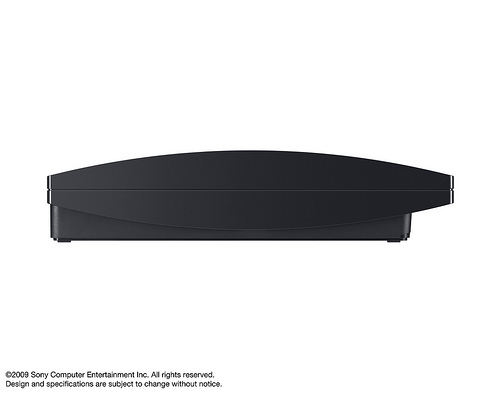 Only moments ago, Sony revealed the PS3 Slim for the first time at the GamesCom Press Conference in Cologne, Germany. 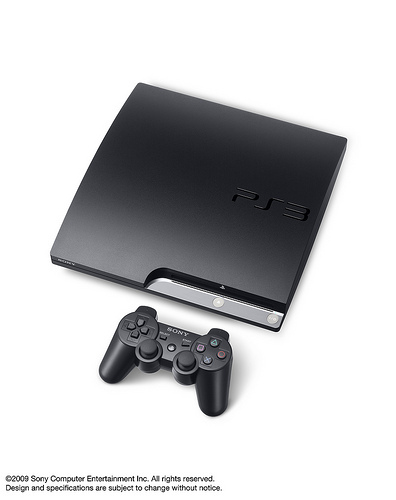 The PlayStation 3 Slim is lighter and smaller than the current model, but has the same features. The Slim will be available from the first week of September, retailing for €299 / $299. 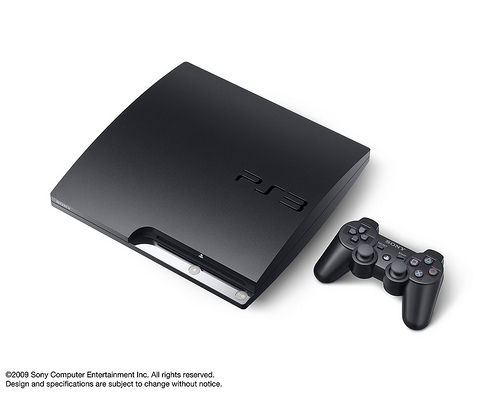 The price for the current PS3 model has also be reduced, as we saw earlier this week. It seems that the leaked photos from back in May were real. 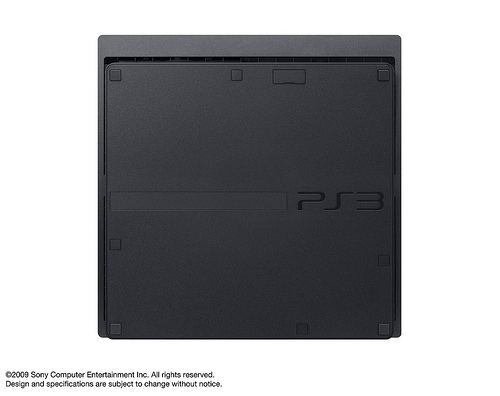 The PS3 logo is indeed different on the PS3 Slim, losing the “Spiderman” font. Sony did a good job keeping the leak fairly small this time with everything lablled as rumors. The PSP Go! leak before E3 was a lot worse when an official Qore interview was leaked. 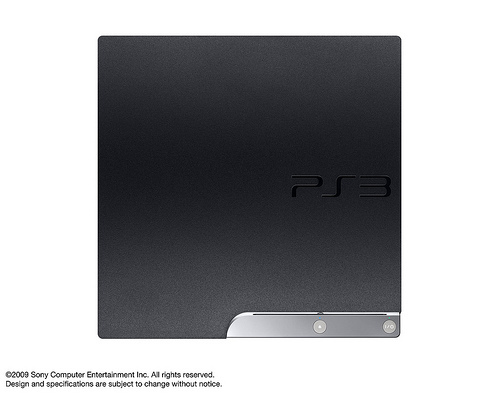 Personally, I prefer some of the other PS3 Slim mockups that were flying around the last few months. OMG no one knew about that!!! It still looks poo, and its devaluing my current fat ps3! they should have sticked to the chrome case , now its pure plastic but still got the power i hope !! 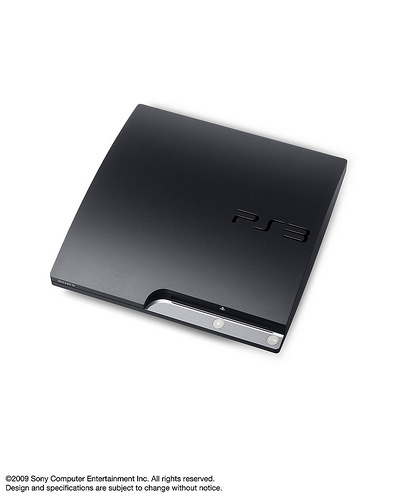 @kite I think the Fat PS3s will go up in value. Its the only model that supports Linux and Backwards compatibility (if you have a early model). The old 60GB ones are also the only ones to have 4 USB ports and Card Readers. Prices on eBay will jump! 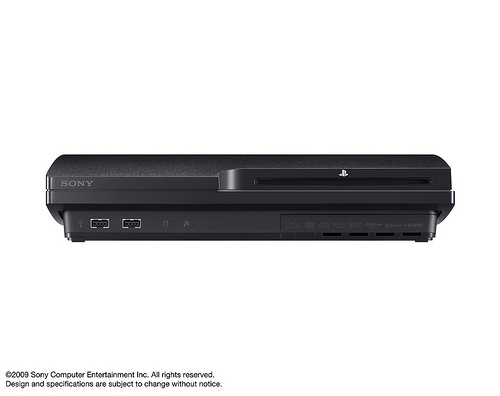 I wouldnt mind an old ps3 with a card reader and backwards compatibility. unless backwards comp is coming along soon via a firmware update. @kite Rumors indicate that backwards compatibility will be coming via a update in the near future.